There may be a time when your cat will require anesthesia for a surgical, medical or diagnostic procedure. Administering general anesthesia induces a loss of consciousness, muscle relaxation, and prevents movement while a procedure is performed. Although your cat is unconscious and unaware of what is going on, pain relief medication is given, and local anesthetics may also be used to numb specific parts of your cat’s body. Both techniques result in a comfortable recovery. During the entire course of the procedure, anesthesia will be carefully administered and monitored by the veterinary team. It is important that you understand the basics of anesthesia and what to expect. With all anesthesia, there can be risk of an adverse reaction to the anesthetic drugs, or other rare complications. Your veterinarian will conduct a thorough physical examination and assessment, as well as ask you specific questions about your cat. Based on this, specific tests may be performed. The examination and tests will provide the veterinary team with more information to develop an individualized plan for your cat. It can also assist in detecting any hidden problems, pre-existing conditions, or underlying issues that could increase the risk of an adverse event. Testing – your veterinarian will assess the cat’s medical history and physical examination findings todetermine the appropriate preanesthetic tests that should be performed. Your veterinarian will use this information to assess the risk and urgency, assess your cat’s health status, choose the best anesthesia drugs for your cat, and factor in his or her life stage and any other disease(s) or conditions. You will receive detailed instructions from your veterinarian, which may include withholding food. If your cat is very stressed during veterinary visits or gets motion sickness in the car, your veterinarian may prescribe a medication to be given before the appointment. It is crucial that you follow these instructions. 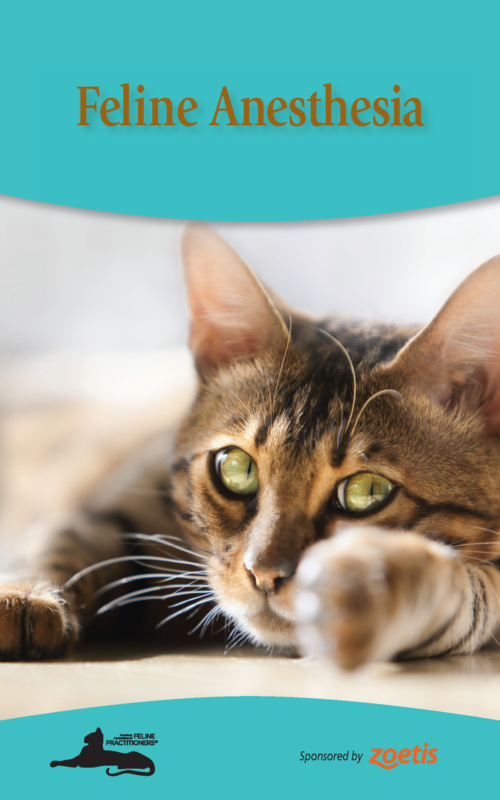 Veterinarians understand that cats have specific needs and it is their goal to minimize patient stress. Your veterinary team will prepare an individualized anesthesia plan, and assemble monitoring and support equipment prior to the procedure. Your cat will likely receive a premedication agent with a sedative to help smooth the transition to full anesthesia; this step calms your cat and reduces their stress. An intravenous (IV) catheter is placed to help maintain fluid balance in the body and allow for emergency medication, should this be required. Generally, most of the anesthetic will have ‘worn off’ by the time your cat is ready to go home. You may notice that your cat sleeps more or appears less energetic over the next couple of days. Your veterinarian will provide individualized instructions based on your cat’s procedure and details for follow-up care. If you have any questions or concerns, you should contact your veterinarian immediately.